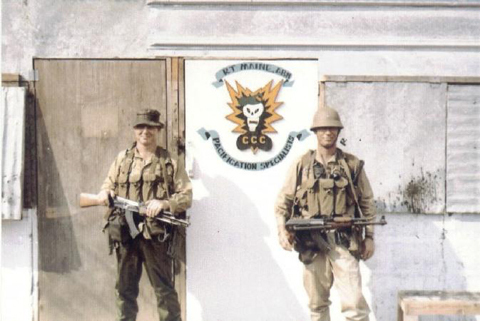 The Military Assistance Command, Vietnam Studies and Observations Group (MACV-SOG) was a highly classified, multi-service United States Special Operations Forces unit which conducted covert unconventional warfare operations prior to and during the Second Indochina War, aka Vietnam War. Established on 24 January 1964, the unit conducted strategic reconnaissance missions in Republic of Vietnam (South Vietnam), the Democratic Republic of Vietnam (North Vietnam), Laos, and Cambodia; carried out the capture of enemy prisoners, rescued downed pilots, and conducted rescue operations to retrieve allied prisoners of war throughout Southeast Asia; and conducted clandestine agent team activities and psychological operations against that country. 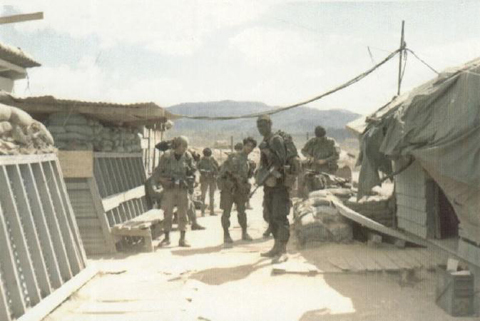 MACV-SOG Command & Control Central (CCC) was formed by MACV-SOG in late 1967, located in Kontum and operated in the Tri-border junction of Laos, Cambodia, and Vietnam. The primary mission of CCC (just like the other Command and Control Centers) was strategic reconnaissance gathering. Cross border, or “over the fence”, operations were invariably code named in the interests of secrecy, with missions into Laos being known as "SHINING BRASS" and later after 1968 as "PRAIRIE FIRE". Missions into Cambodia were also given code names and were initially known as "DANIEL BOONE" and later in the war this was changed to "SALEM HOUSE". The combat elements associated with CCC were used to reinforce and assist the recon mission. 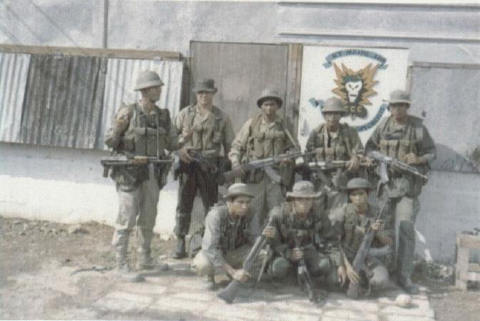 The first MACV-SOG recon teams were initially called "SPIKE TEAMS", each team usually consisting of 3 US SF personnel and 9 indigenous personnel. CCC fielded approximately 30 recon teams that were named after US States. Recon teams that got into difficulty could call for assistance from US led reaction forces known as "HATCHET FORCES", these were of platoon size and consisted of 5 US SF and about 30 indigenous personnel. "HATCHET FORCES" could also be used for ambushes as well as reinforcing recon teams when needed. Two or more "HATCHET FORCES" combined were termed as a "HAVOC" or "HORNET" force. Full SOG companies were called "SLAM" companies, Search, Location, Annihilation, Monitor (or Mission). Of these CCC had 4, A,B,C, and D, and used US paid indigenous personnel recruited and paid for by MACV-SOG. The recon teams focused their energies on specific areas of the trail in order to obtain current up to date information on construction, troop movements, supplies, etc. This information was often gained at great risk to the recon teams and transmitted to OP-34 ground studies branch at SOG HQ for inclusion into the daily SITREP reports. Relatively lightly armed the recon teams were not designed to slug it out in a pitched battle with the enemy. Instead they relied on moving without being detected, If in the event they were compromised (detected) then the ability to break contact quickly and evade the enemy was of paramount importance. CCC was deactivated in March 1971, but in reality was altered in name only to TFAE2. A year later in March 1972 the whole organization was supposedly terminated but covert missions involving SF troops continued, and actually increased. The US forces were then not allowed to wear the famous Green Beret, this being replaced with a baseball cap. Green Berets at War: S.Stanton. SF of the United States Army 52-82: LTC. I.Sutherland.